Companies > A > Aurora Systems, Inc. Address: 3295 Coast Meridian Rd. 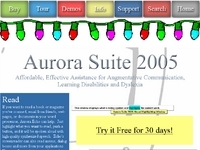 Programs from Aurora Systems, Inc.